Originally there should have been 3 brass bells suspended from the brass plate, perhaps each of different tone. The outer two, still exist, are suspended on brass chains and the missing central one by a silk thread. This one would have been earthed by a brass chain. 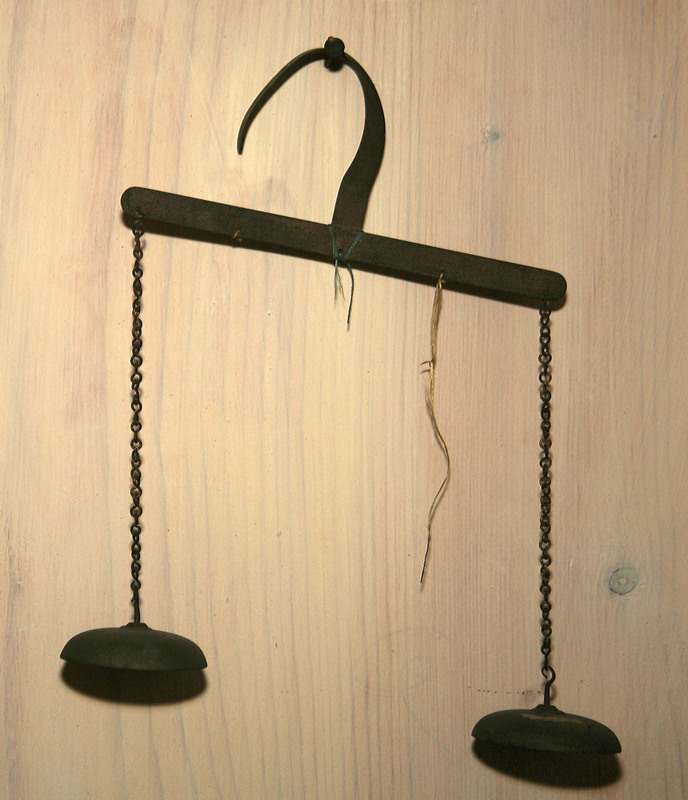 The bells would have been rung by two small brass clappers hanging form silk threads. 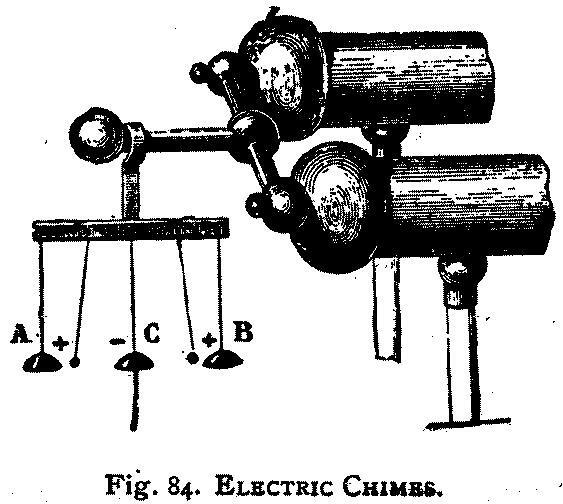 These would have been alternatively attracted and repelled by the bells electrified by an electrical machine when hung on the prime conductor by means of the central hook in the plate.